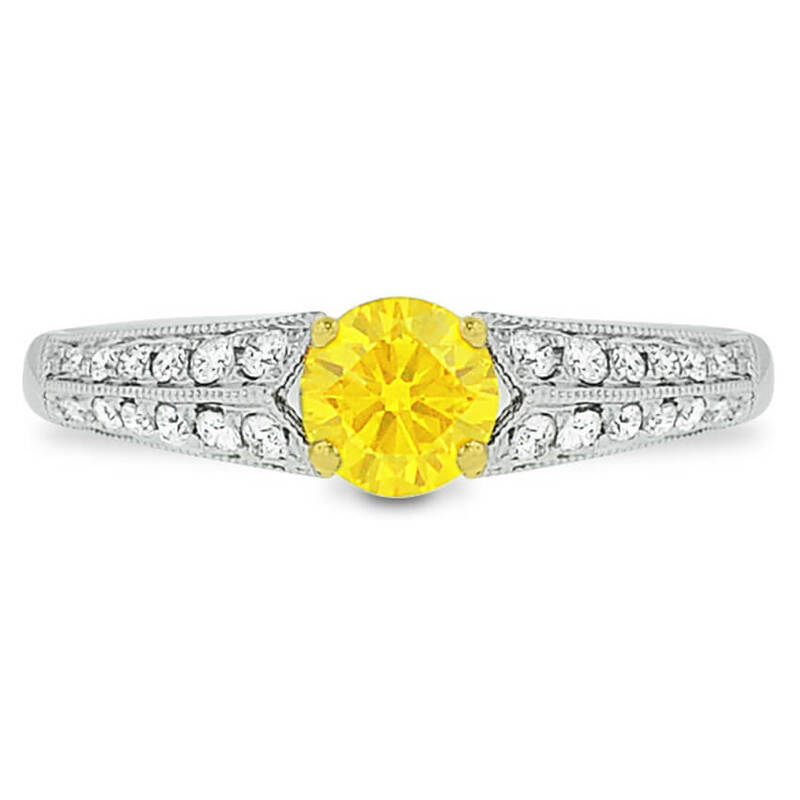 This elegant Vintage Design will become one of your favorite family heirlooms. 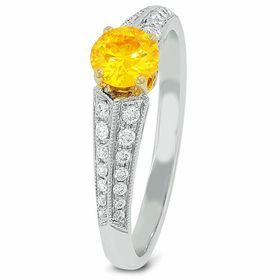 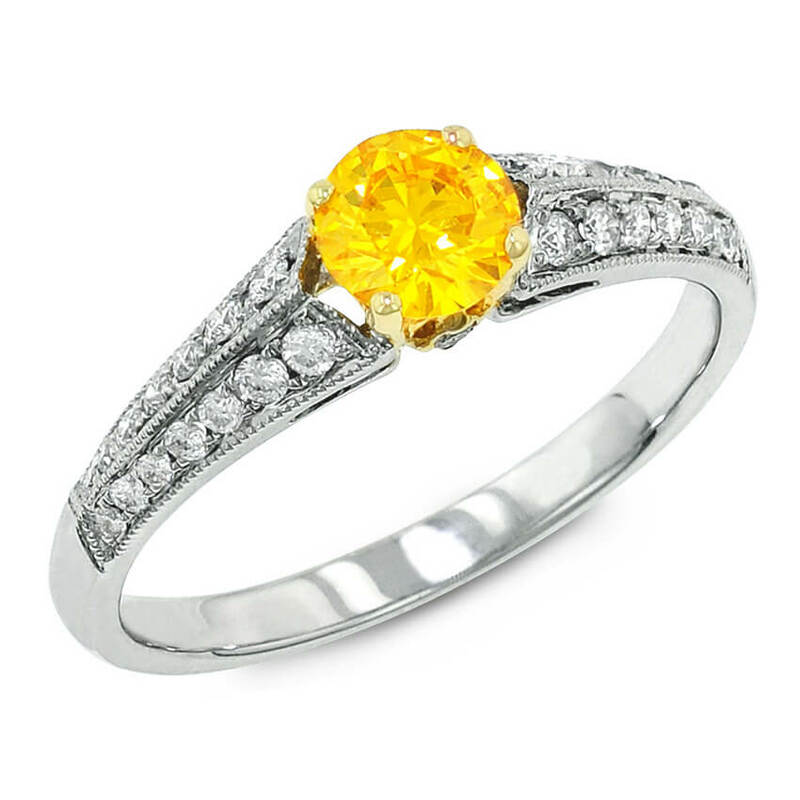 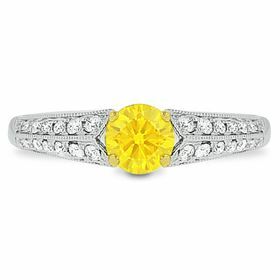 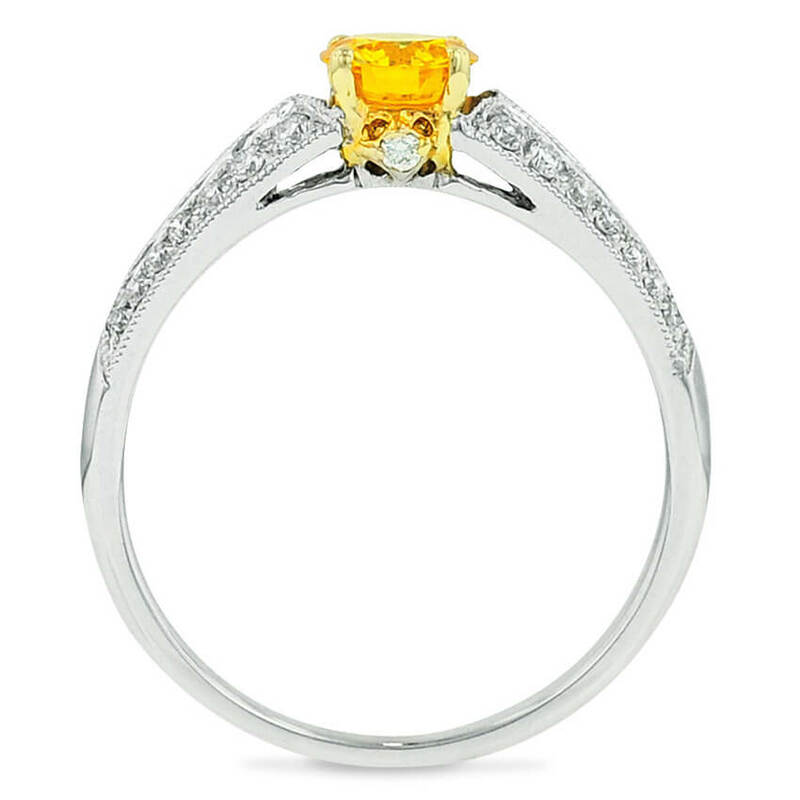 The 0.44 Round Vivid Yellow Created Diamond center is set in 14kt white gold with yellow gold accent prongs, a beautiful Milgrain Design and Two Rows of Diamond Accents. Each item is accompanied by a grading report and a certificate of Eco-Friendly Origin.